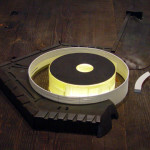 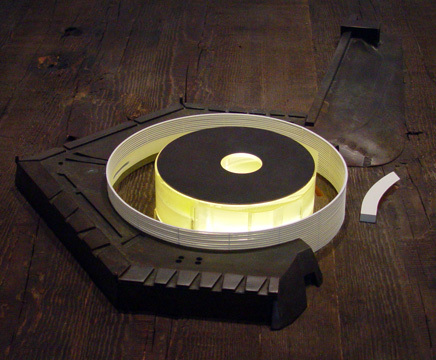 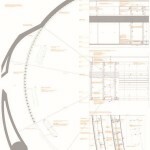 “As the work progressed at the site, instead of something appearing, it disappeared diluted in that palimpsest inheritance that from the beginning we assumed and which maintenance became our unique objective”. 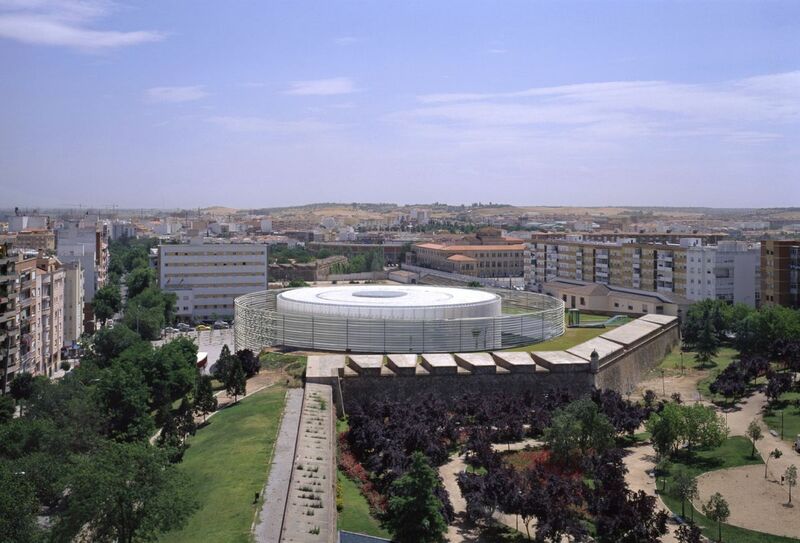 The Badajoz Congress Center is situated inside a pentagonal molded fortress, part of the seventeenth century city dividers. 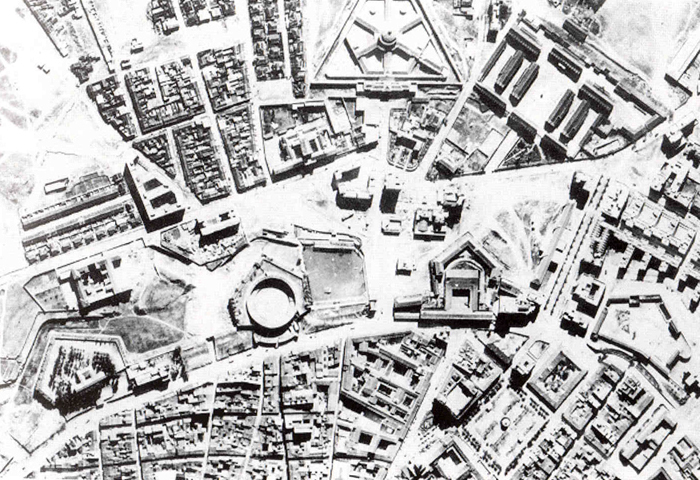 There used to be an old bullring in the site, going back to 1859. 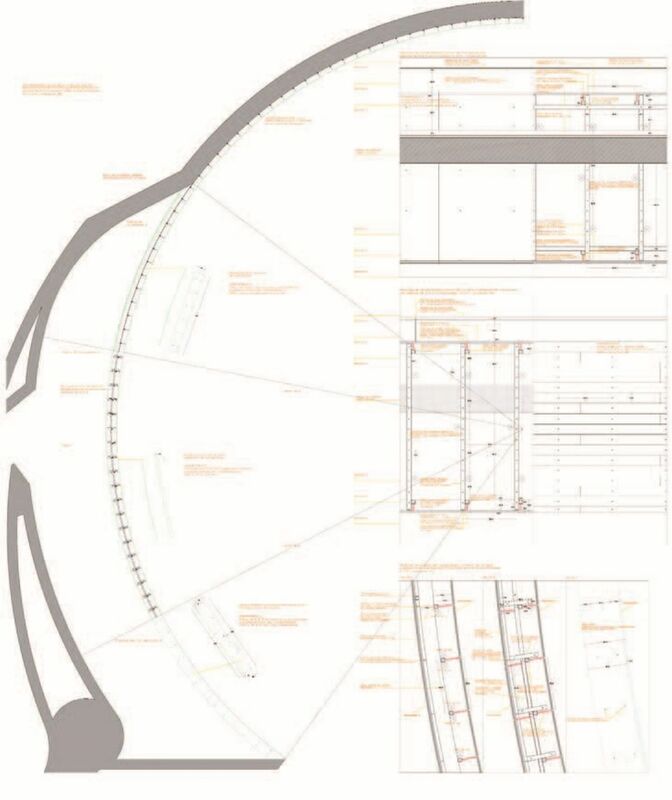 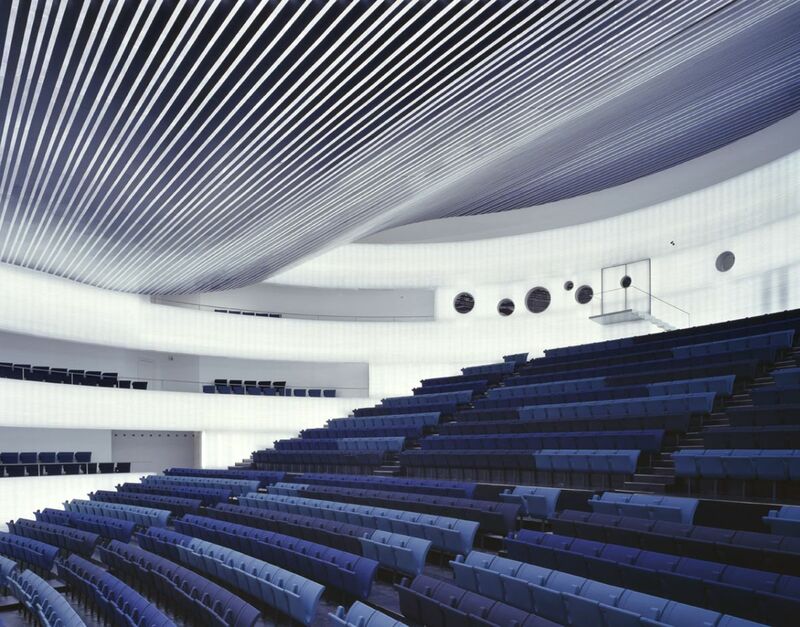 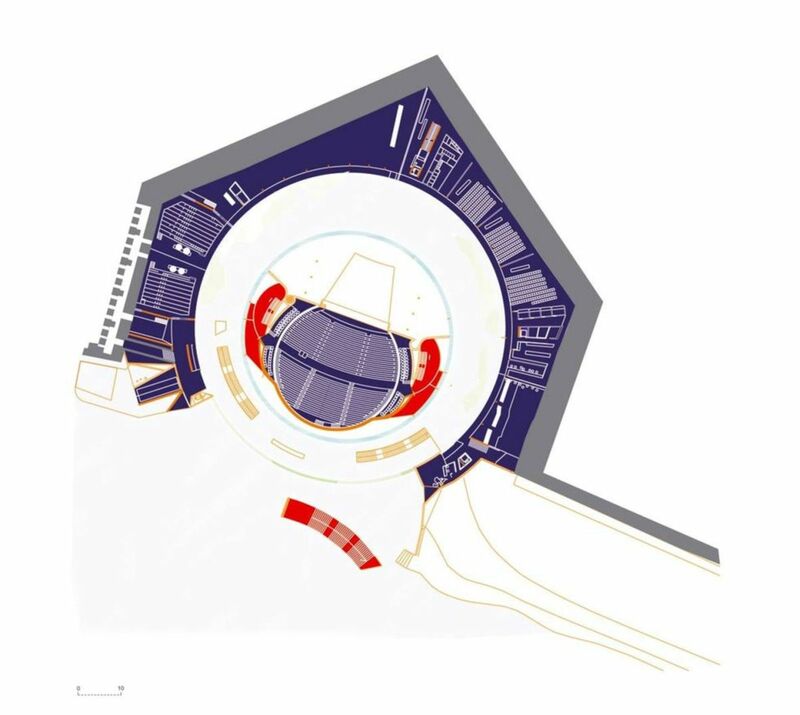 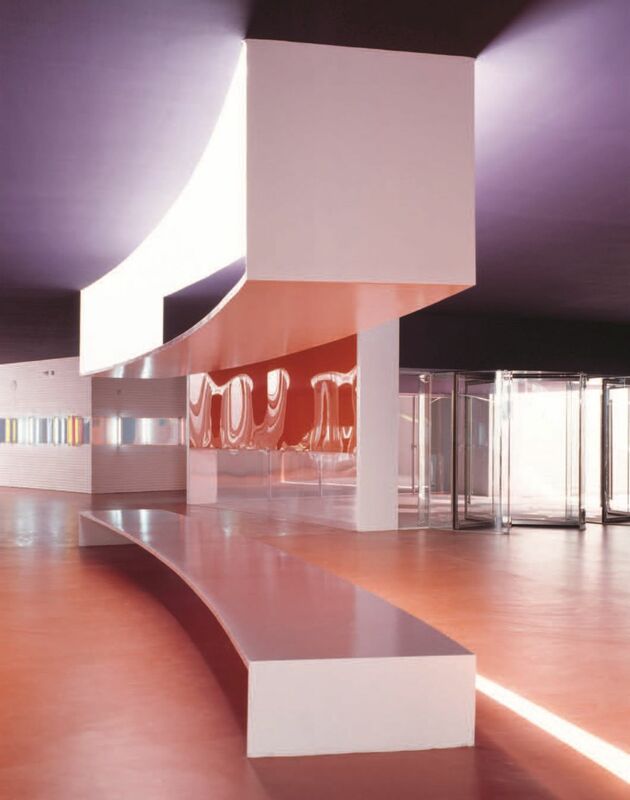 The development utilizes the bullring‘s exhumed foot shaped impression as a beginning stage, constructing the congress lobby in the space where the enclosure used to be, and wrapping it with a straightforward skin produced using fiberglass rings. 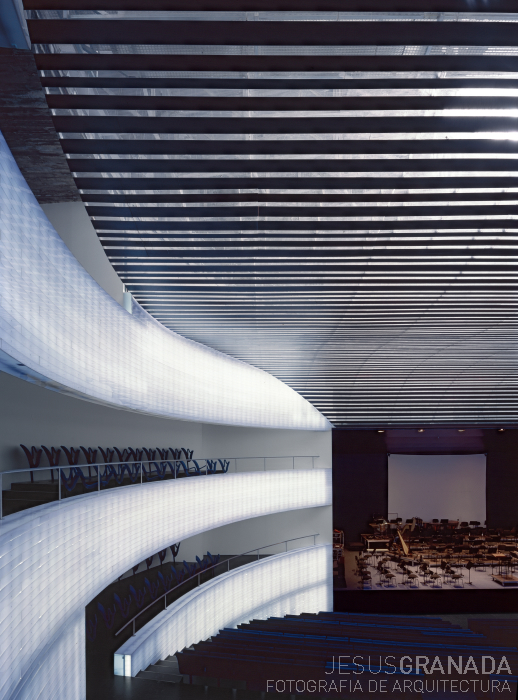 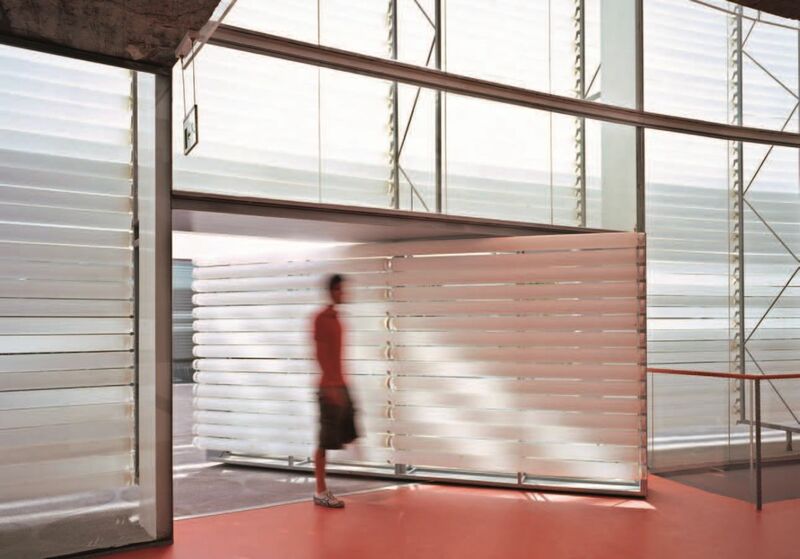 The round and hollow walled in area of the main corridor is encompassed by translucent methacrylate panels, transforming it into a brilliant volume around evening time. 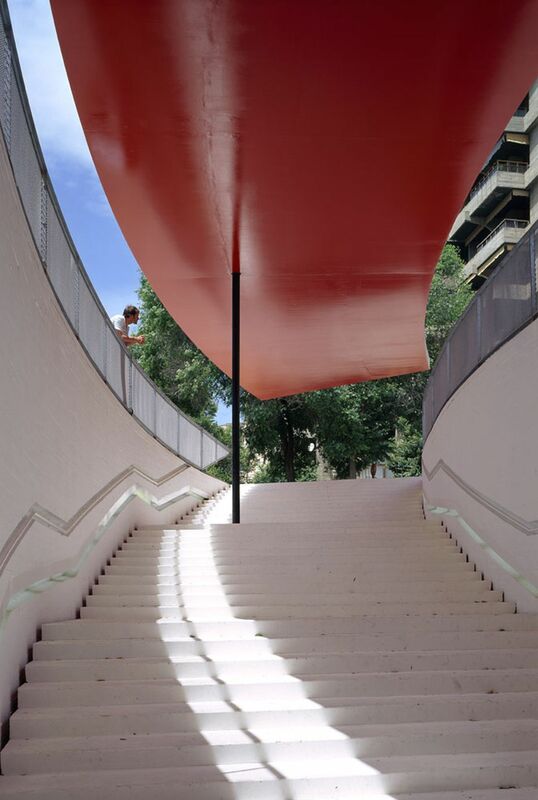 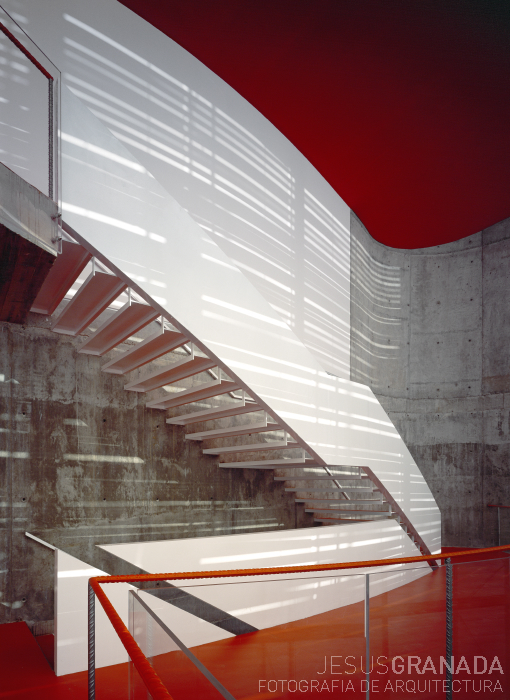 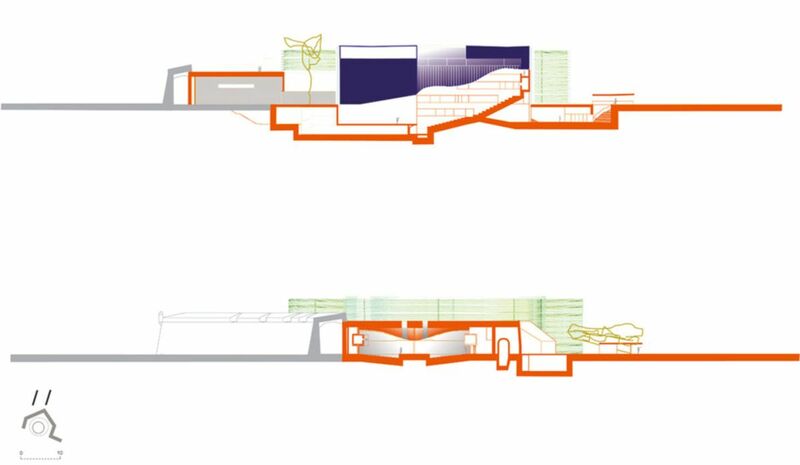 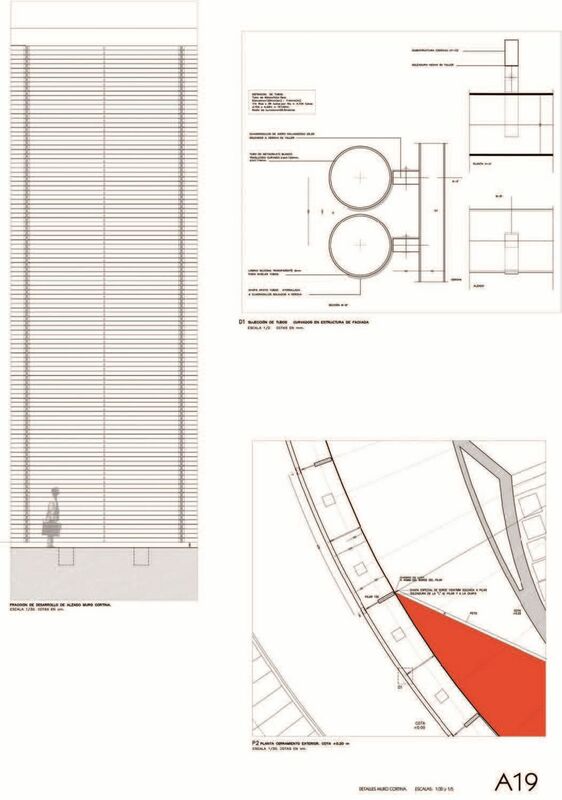 So as to keep the clarity of the volume in place, the primary access is done through a staircase going down from the public square in front of the building to an underground lobby, illuminated by skylights and sunken courtyards. 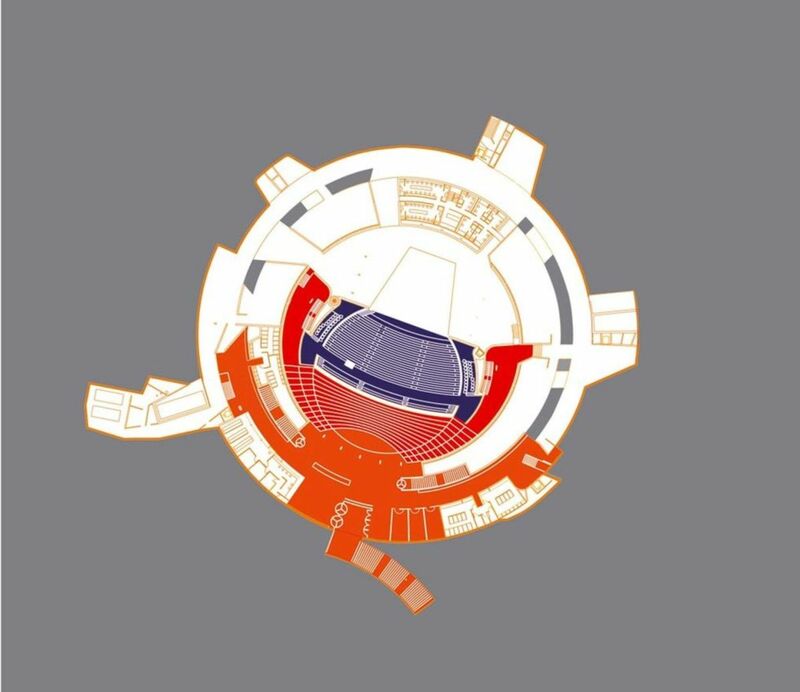 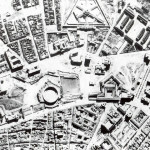 The complexity of placing a Palace of Congresses in an empty spot and that this spot continues being empty is resolved by means of a easy trick that consists of reversing the place for the spectators and bringing the white earth to the center, and taking the empty center alongside the spectators, to the place of the old spectator terraces. 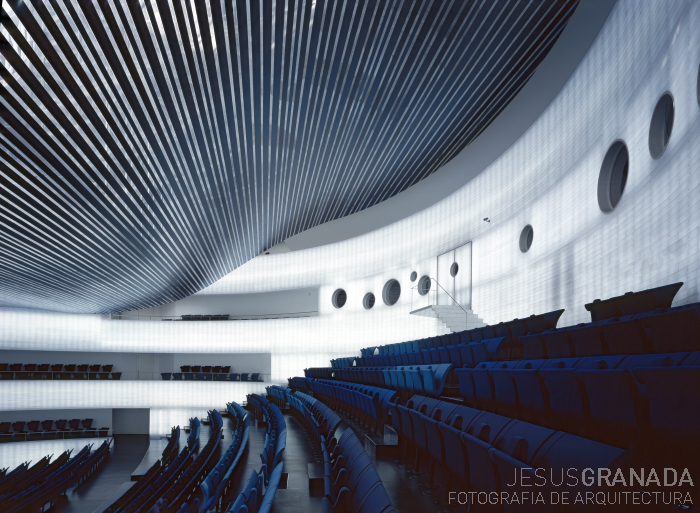 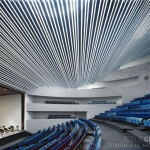 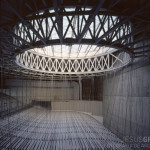 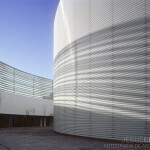 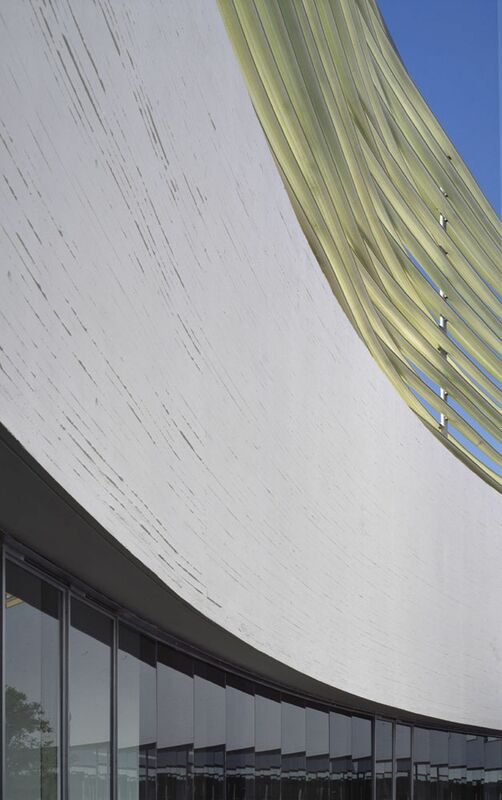 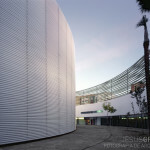 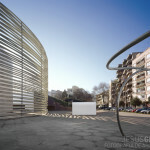 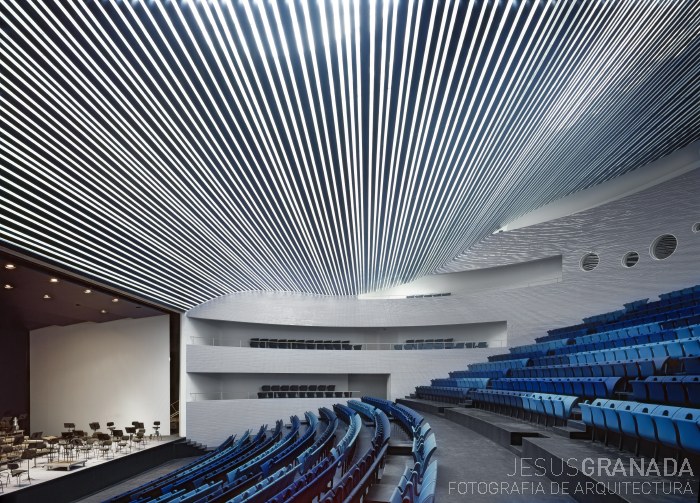 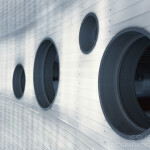 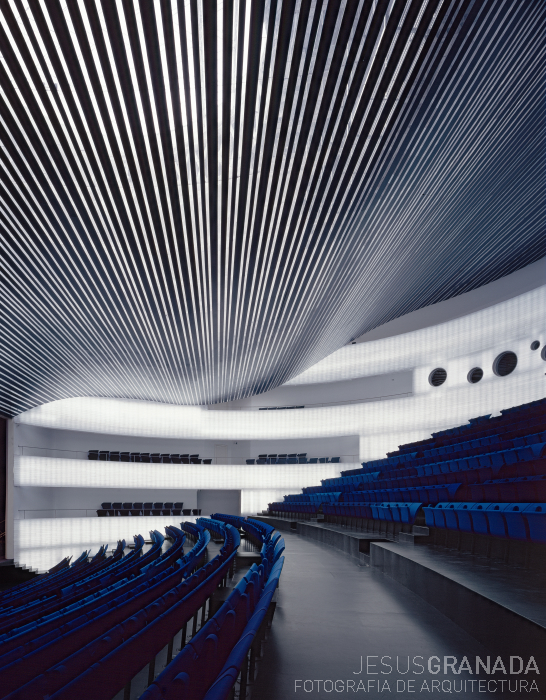 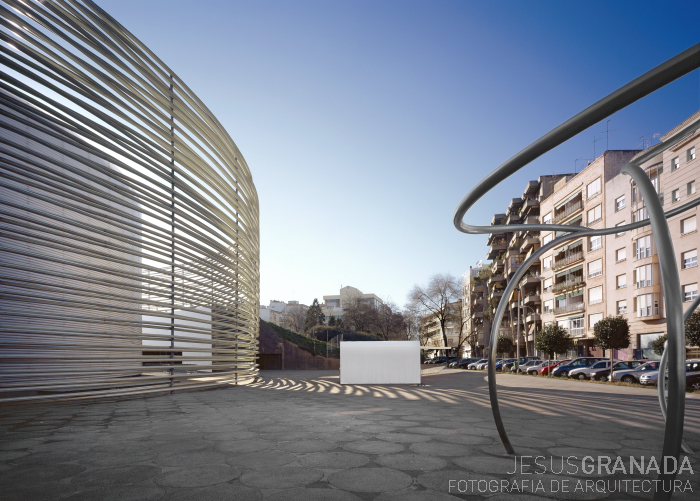 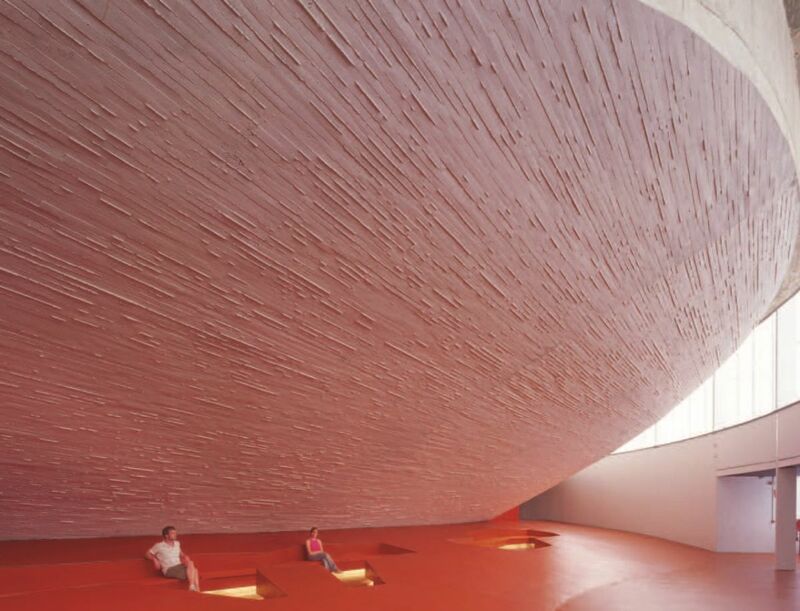 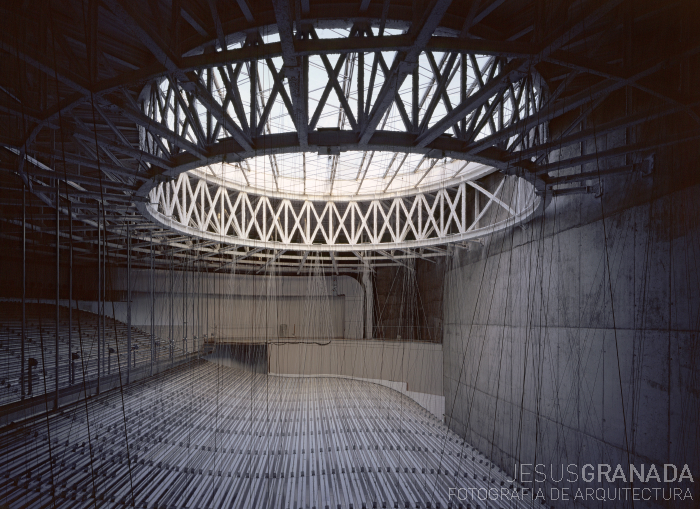 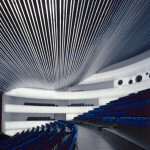 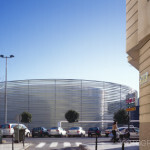 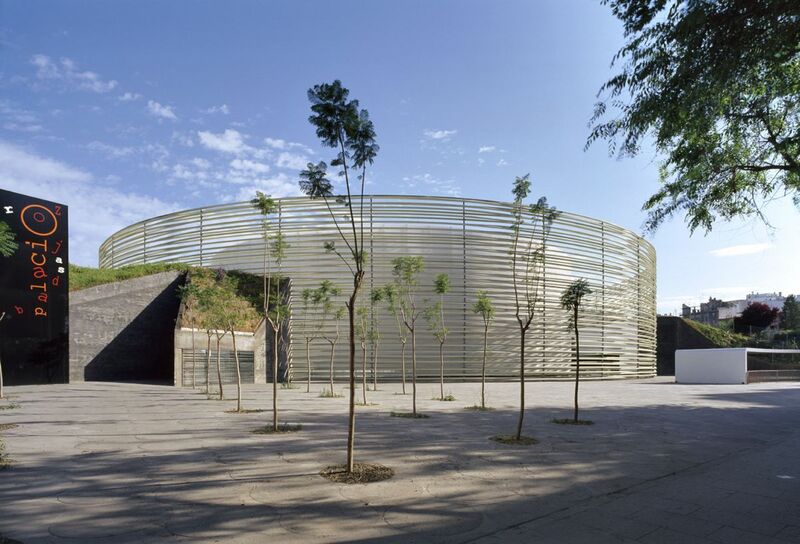 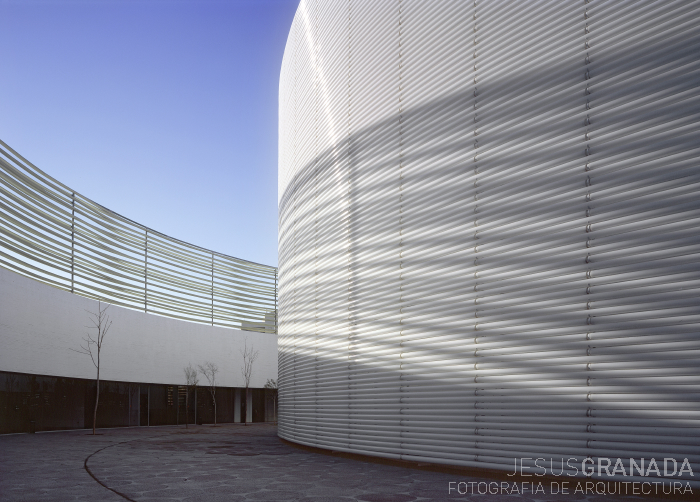 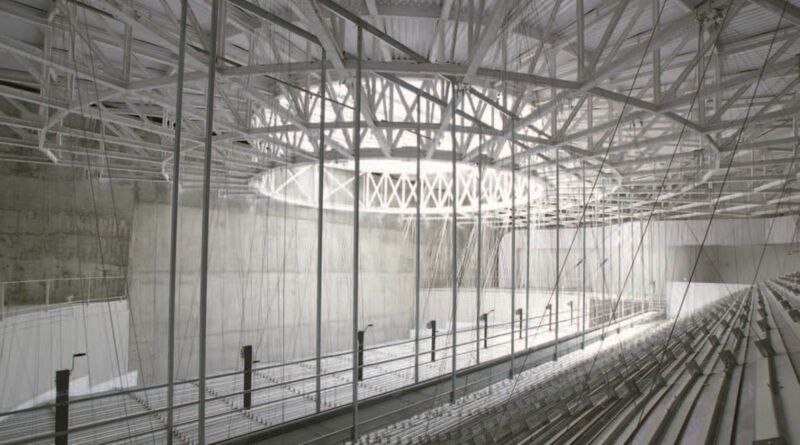 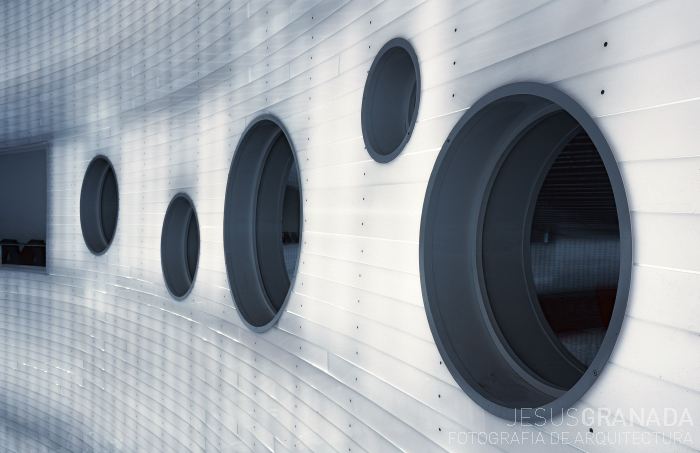 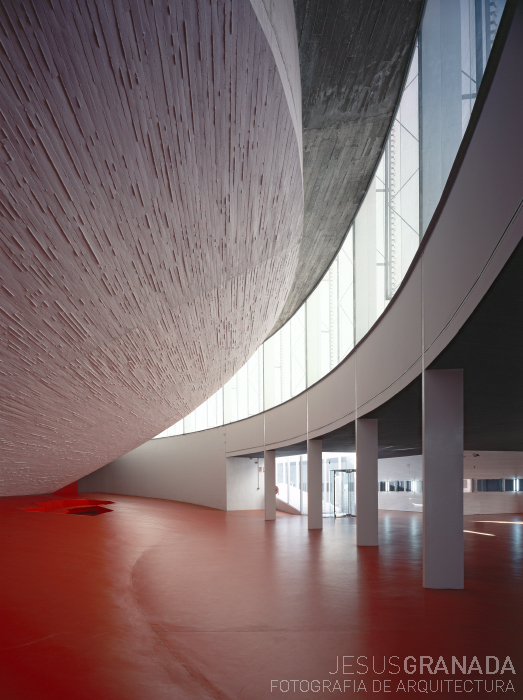 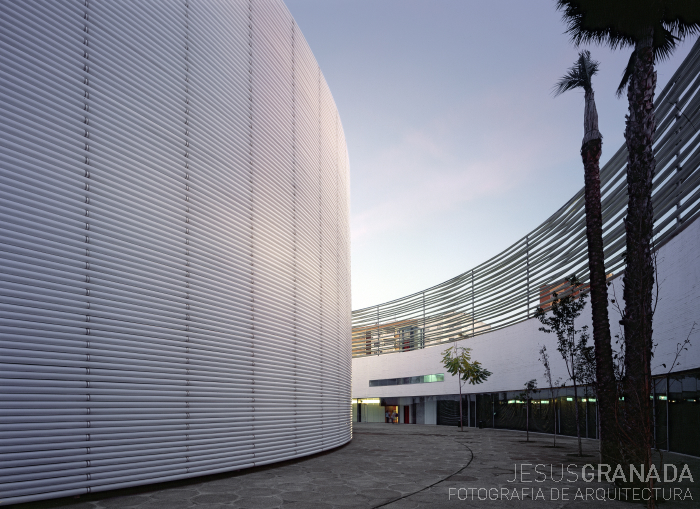 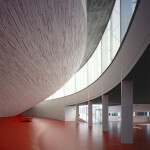 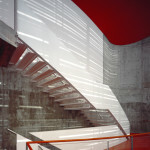 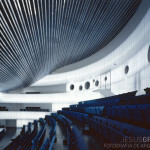 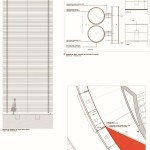 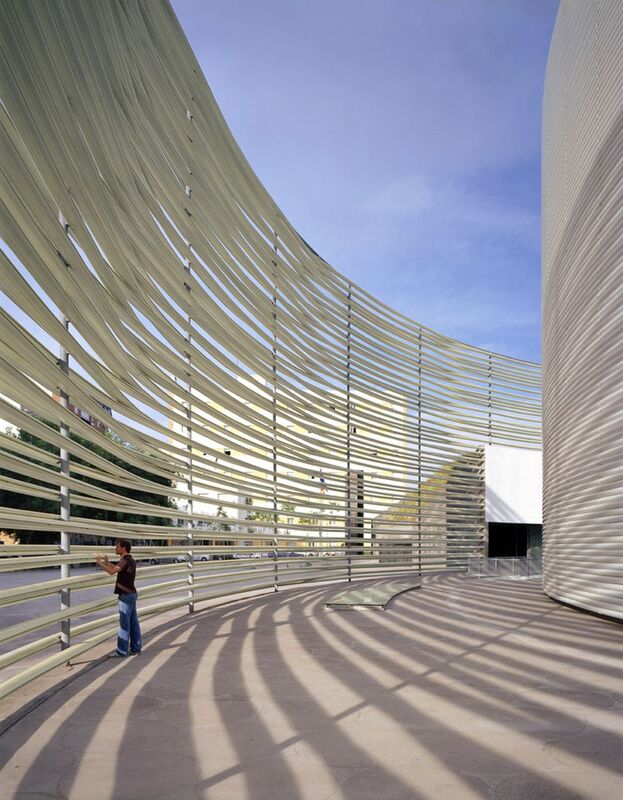 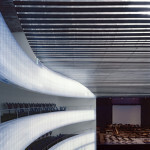 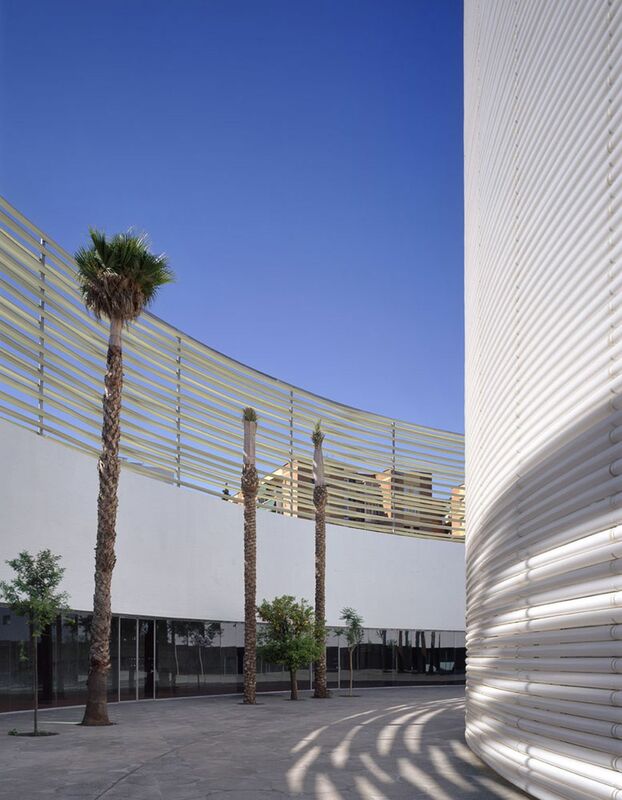 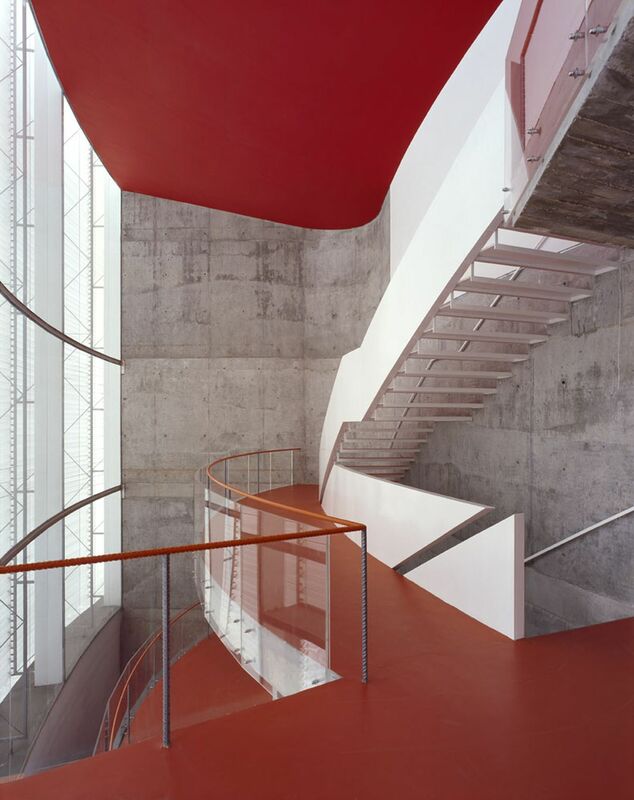 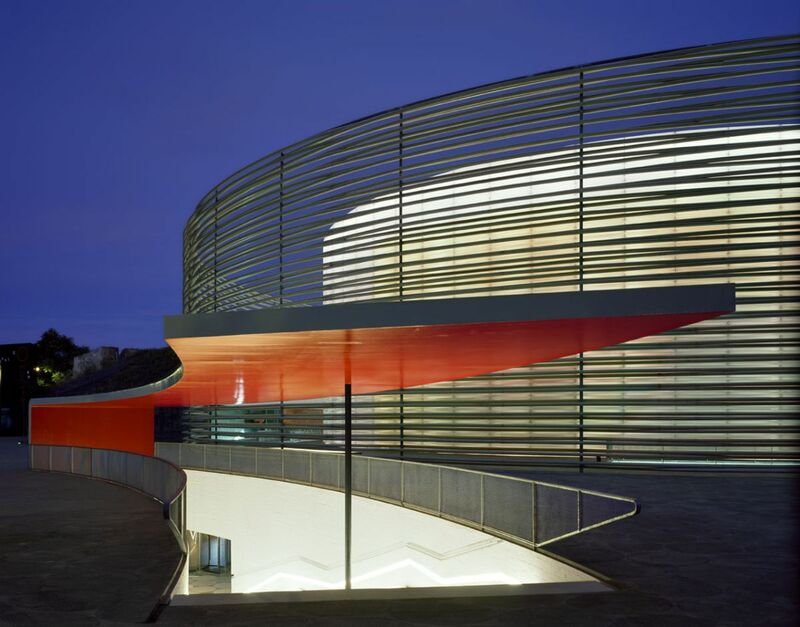 Cite this article: "Badajoz Congress Center / Selgas Cano," in ArchEyes, February 24, 2016, http://archeyes.com/badajoz-congress-center-selgas-cano/.